Offering convenience and amenity, strata title properties are often a more affordable way to embrace the property market than detached housing, especially in major metropolitan areas such as Sydney and Melbourne. 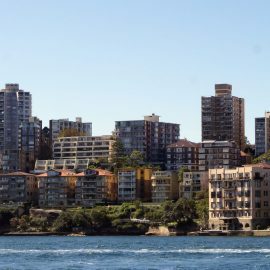 As NSW Fair Trading notes, living in a strata community differs to owning a house. Before you purchase any strata property it’s important you understand the fees you will be required to pay as part of your contribution to its management and upkeep. Most of these fees are equivalent to household expenses and incorporate council rates, water and electricity charges for common areas, building and public liability insurance, and the cost of ongoing maintenance and repairs. In addition, every building committee must have a 10-year capital works plan, which sets aside funds for any major maintenance issues which are likely to arise over the next decade. That’s why it’s important you investigate the state of the building before buying, looking at the condition of common areas and the general maintenance of the property. In addition, you should seek information about planned capital works and the financial records of the committee. This allows you to gain an insight into how well the property is managed and any potential problems in the future. “In most strata schemes, the lot owner owns the inside of the unit but not the main structure of the building. “The internal walls within the lot (e.g. the wall between the kitchen and lounge room), floor coverings such as carpet and fixtures such as baths, toilet bowls and bench tops are all the property of the lot owner. This means there may be restrictions on alterations you can make to items like balcony railings, and external sliding doors as these affect the exterior of the building. It also means you may need to seek permission before installing services that require access to common areas, such as cable television, internet, and air-conditioning units. To understand where the line is drawn, you should seek out information about the common property boundaries, which can be accessed in the strata plan. All strata communities are governed by by-laws, which basically set out the rules of what people can and can’t do within that community. 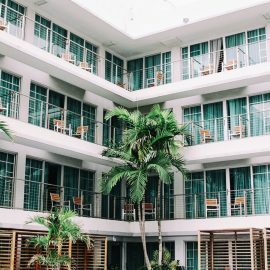 By-laws can relate to things like security, parking, noise restrictions, balcony furniture and even the type of floor coverings you can install or the window furnishings you can use, so it’s critical you understand the rules before signing on the dotted line. Our services extend from property appraisals, sales and marketing through to comprehensive strata and centre management throughout New South Wales.